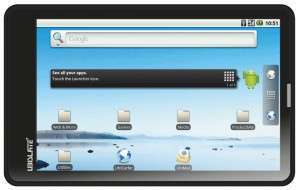 Aakash tablet upgraded version is going to be available in april month as Human Resource Development Minister of India announced. Aakash tablet upgraded (Aakash 2 or Ubislate 7+) version will have a better Screen & longer battery life. So we can all expect that the problem which faced in Aakash tablet’s current will not continue. Longer battery life will make it more usable. Its said by Mr. Kapil Sibbal (Human Resource Development Minister) that 100000 Aakash tablets will be supplied by Datawind Company. Who is Eligible for Aakash tablet upgraded version ? First of all Students of Higher Technical Educational Institutions will get Aakash tablet upgraded version. The reason behind is told that Those students will analyze & review the device for operational quality. After that it will be available for school students if everything works fine. Is it more costly than previous version of Aakash tablet? No. Finance Minister stated that the price will be same. What’s features of Aakash tablet upgraded version ? And offcourse all other features which Previous version of Aakash having. Hoping this Aakash tablet upgraded version will be more useful for students. Success of this device may lead a tablet revolution in Country India. And it will great for India to have tablet users having internet access all over the country. Other connected sectors may grow up like as revolution. It may do charm like as mobile has done in country. akash tab is made for economic country like india and also complete the need who lives in villages and economic contries……………………..